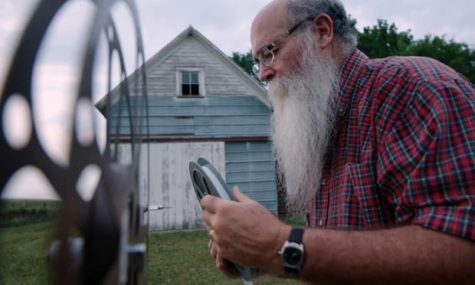 “Saving Brinton,” an absorbing new documentary by Andrew Sherburne and Tommy Haines, tells the story of Michael Zahs (pictured) and the collection he saved. Between 1895 and 1909, one Frank Brinton crossed the Midwest with his wife Indiana and his travelling show, welcoming locals for a ticket price of just a few cents. At first he showed magic lantern slides, some of which “dissolved” between two static images to create an illusion of movement. When moving pictures arrived, Brinton jumped aboard, ordering many films from distributors in France, one of the most prolific and creative producers in the early period. He also became the manager of the Graham Opera House in Washington, Iowa, which is known as the State Theater and has been certified by Guinness as the oldest continuously operated cinema in the world.